Thousands of jobs are set to be axed at Jaguar Land Rover in the New Year as it clambers to turnaround the business. JLR – Britain's largest carmaker – could cut as many as 5,000 roles from its 40,000 workforce, claims the Financial Times. The firm has embarked on a two-year cost-cutting exercise as it suffers from sliding demand for diesel and poor sales in China. It is expected to reveal details of the job losses in January when it sets out its short-term strategy to revive its fortunes. 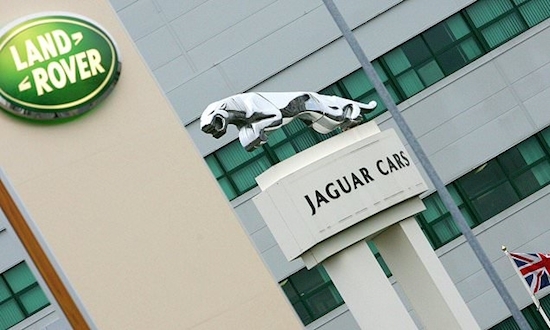 JLR has already slashed 1,000 jobs from its factory in Solihull. In a statement, the firm said: 'Jaguar Land Rover notes media speculation about the potential impact of its ongoing Charge and Accelerate transformation programmes. 'As announced when we published our second quarter results, these programmes aim to deliver £2.5 billion of cost, cash and profit improvements over the next two years. Britain's biggest carmaker announced last month that it is to reduce the workforce at its engine manufacturing plant in Wolverhampton, central England, by about 500 in what it called a 'temporary move'. Maintenance and salaried staff will continue as normal. Those affected will continue to receive full pay for the period. 'The external environment remains challenging and the company is taking decisive actions to achieve the necessary operational efficiencies to safeguard long-term success,' the brand added in a statement. About 500 of the factory's 1,600-strong workforce could be affected at any one time through a two-week period.